Rear carpet section inside the trunk space. May fit other years! Have other trunk carpeting and other Alfa Spider parts at the best price possible! Eco-friendly Odorless Rubber Floor Mats. 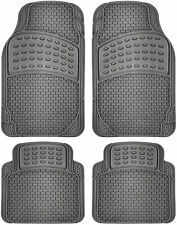 Motor Trend rubber floor mats are manufactured with quality and safety in mind. Official Motor Trend Product. Front Mats: 27.88" L x 14.25" (min), 19" (max) W.
Motor Trend 100% Odorless Floor Mats - No more disturbing rubber odor that cause headache. 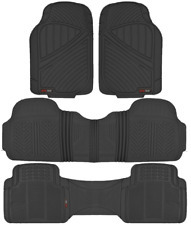 MotorTrend¢ç new standard for automotive accessories - 100% Odor Free and premium heavy duty floor mats. Best quality rubber mats in the market. Motor Trend Premium Odorless Floor mat is made of highly durable material for all-weather protection. Motor Trend Mats are manufactured with the highest quality and safest material. Official Motor Trend Product. MotorTrend new standard for automotive accessories - 100% Odor Free and premium heavy duty floor mats. Best quality rubber mats in the market. 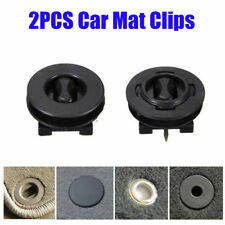 Replace carpet mats with high quality rubber mat. Rubber mats are very easy to take out and cleanse with soap and water. Motor Trend 100% Odorless Floor Mats - No more disturbing rubber odor that cause headache. Motor Trend new standard for automotive accessories - 100% Odor Free and premium heavy duty floor mats. 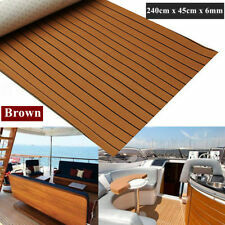 Best quality rubber mats in the market. Motor Trend 100% Odorless Floor Mats - No more disturbing rubber odor that cause headache. 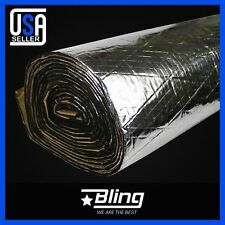 Non Toxic & Eco Friendly Material. 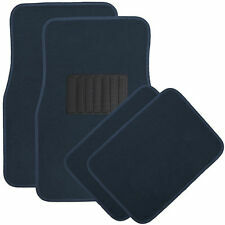 MotorTrend new standard for automotive accessories - 100% Odor Free and premium heavy duty floor mats. Interior Carpet Red. Seat Belts. Radio Code. Wheels & Tire s. Engines / Transmissions / Differentials. Alfa Romeo Spider Quadrifoglio Rear Trunk Carpet Red Series 3 83-90 OEM This is a used item with normal wear. Click here to view full details and picture. Confirm fitment with your dealer or mechanic.